Very nice pillow! Fluffs right up! 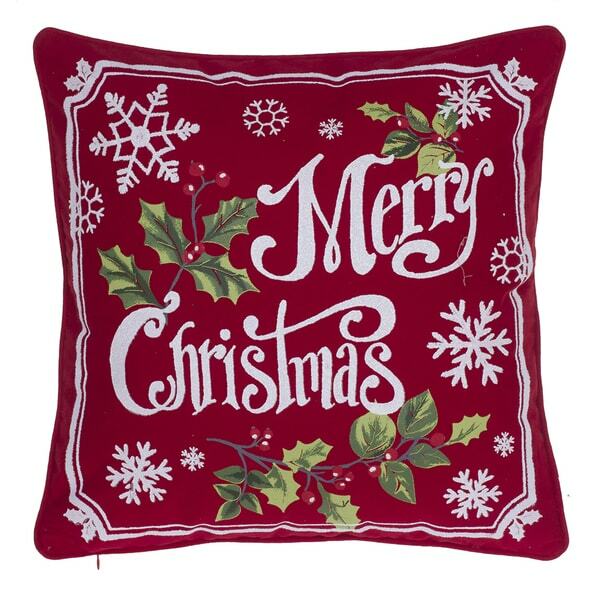 Celebrate the winter holidays with this 'Very Merry Christmas' motif pillow. Down stuffing gives this throw pillow extra softness, and the natural cotton exterior lets you add an eco-friendly element to your decor. I love Christmas, so the more I can decorate my home for Christmas, the happier I am. This pillow is the perfect touch for my gray couch during the holidays! Bright and cheerful pillow. Like the size of the pillow.